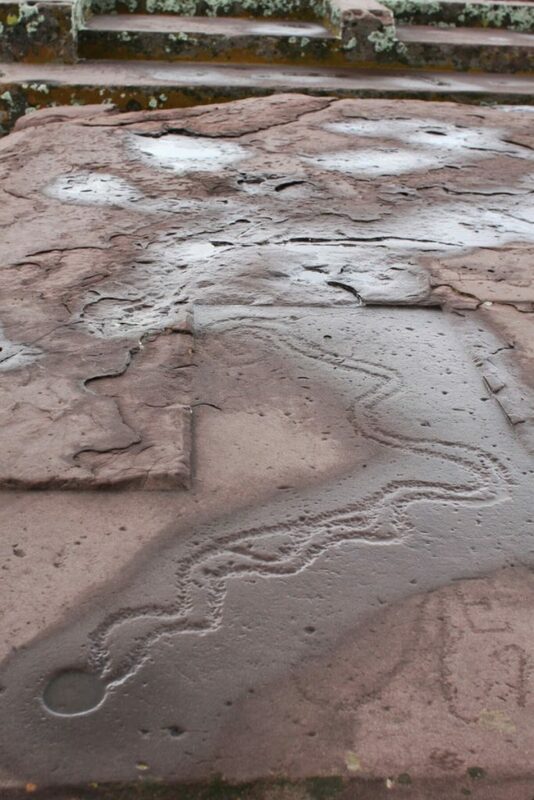 All that remains of a culture that predates the Inca by a thousand years. 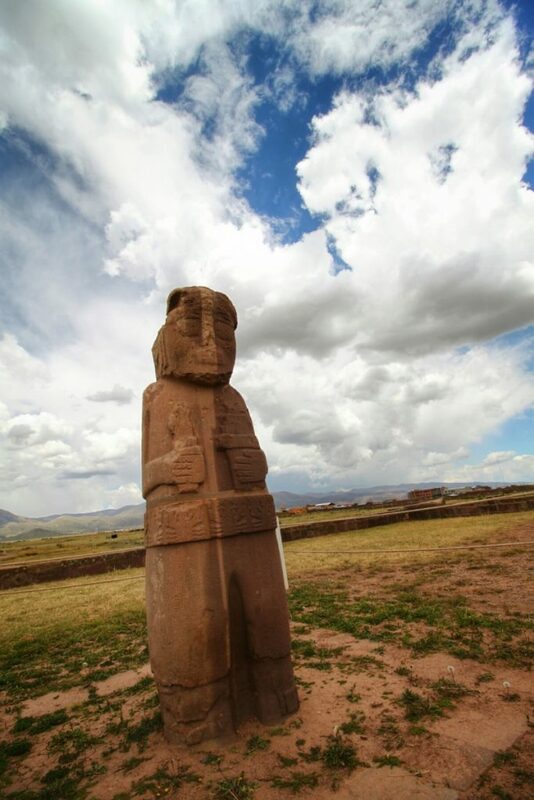 Tiwanaku is the ruins of a great city, just 70 kilometres or so from La Paz, near the eastern banks of Lake Titicaca. It’s a good day trip to get out of town, so once again we found ourselves on a tour bus. 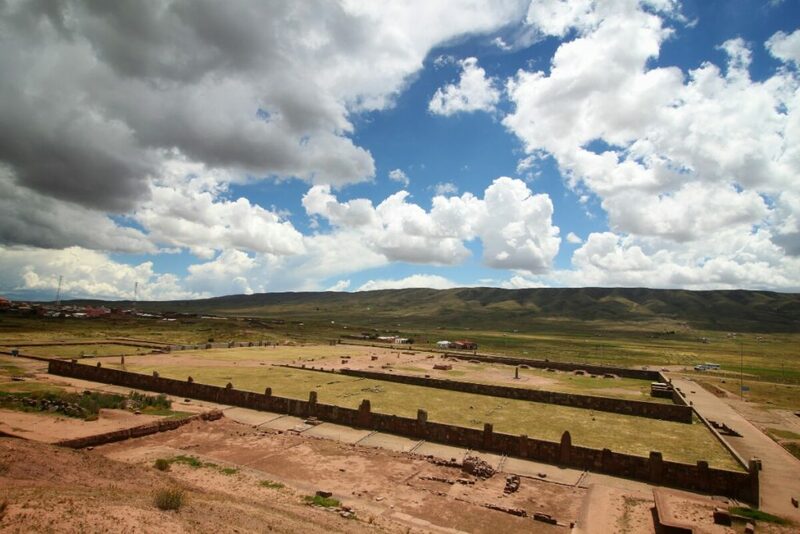 The Tiwanaku civilization was huge and long lasting.They dominated the immense region of Bolivia, southern Peru, northern Chile and northwest Argentina from 1200 BC to about 1100 AD. Their decedents, the Inca, only lasted 100 years, but are far more famous. After spending so much time in Peru learning about the Inca, it was nice to learn about about what came before. 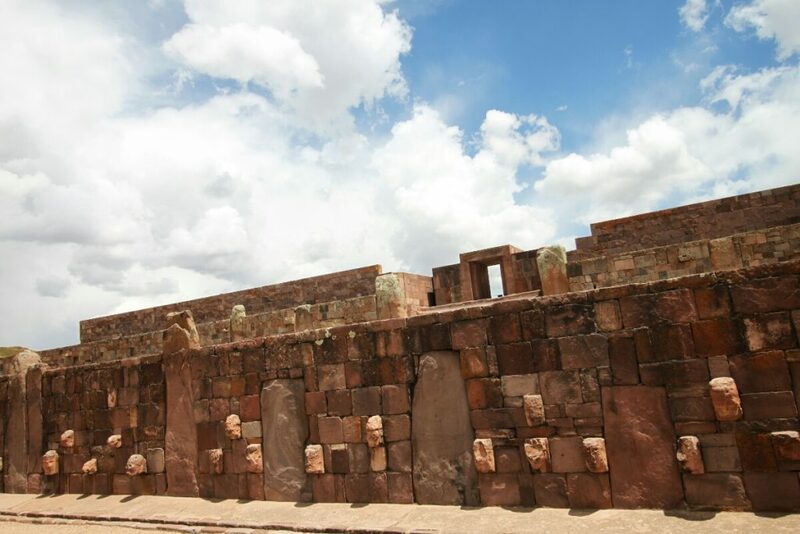 Tours to Tiwanaku will stop at the ceramic and stone museums, as well as the ruins themselves. The ceramic museum contains a good collection of pottery, stone and metal tools, jewellery, ornaments, and the like. The stone museum houses enormous stone statues and monoliths. Most important of these is the Bennett Monolith, discovered in 1932 by American archaeologist Wendell Bennett. The statue is immense, 7 meters tall and 17 tonne, with minute detail and engravings on it’s surface. It was spiritually significant to the indigenous people. 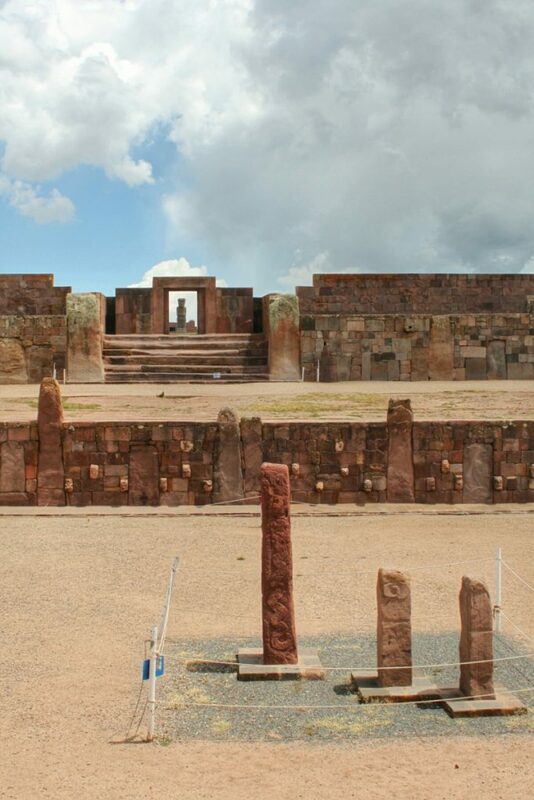 The Bolivian Government decided that the best course of action was to dig up the 1,700 year old monolith, remove it from Tiwanaku, and plant it outside the soccer stadium in La Paz. 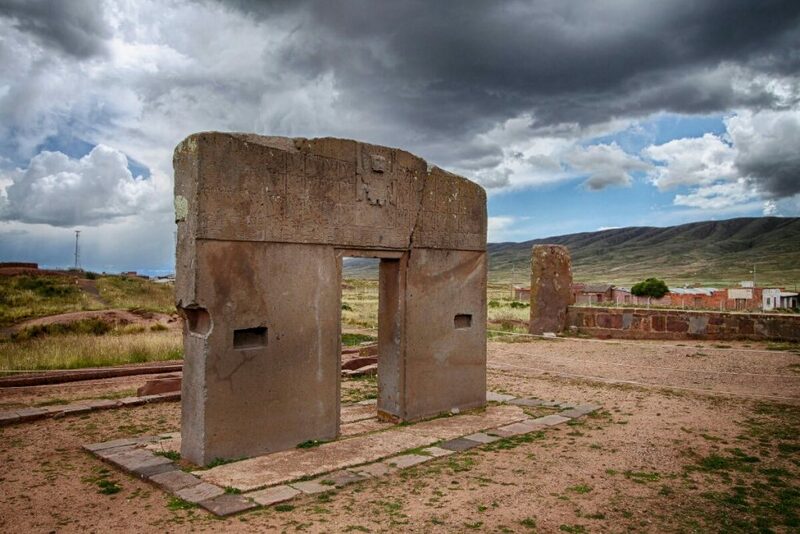 The Bennett monolith was then damaged by weather and by being used for target practice. In 2002 it was returned to its home, the bullet holes repaired, and now has a whole museum built around it. But of course, no photos in the museum! The ruins are very spread out. If you’ve just come from Machu Picchu you may find it a little underwhelming. The ruins are not completely excavated, and due to their age are not in quite as good condition. Also, as I’m learning is standard practice for the Spanish, the holy site was used as a quarry for the important colonial buildings and churches nearby. Despite this, I found the place to be quite interesting. Most intriguing for me was the common elements of culture that evolved into the Incan culture. Worshiping the puma, the concept of life existing in three layered worlds, their shared obsession with the sun, and still in stonework and hydroengineering. The cultural appropriation and evolution is plain to see. 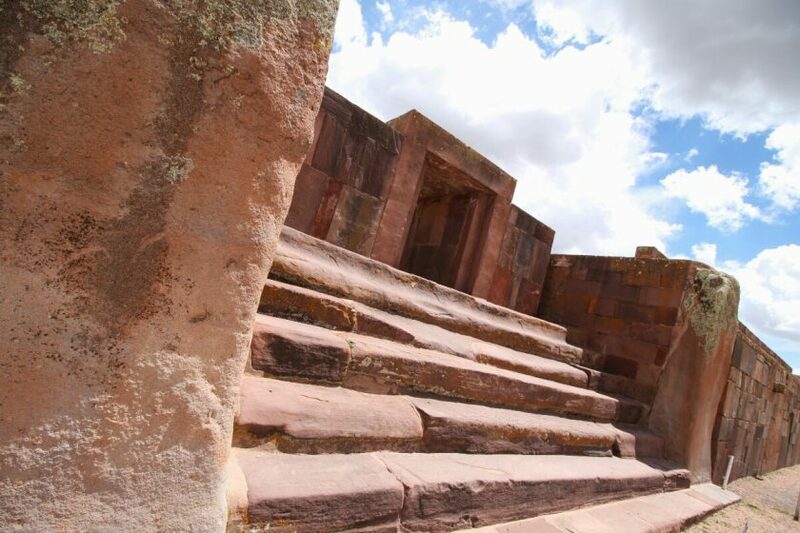 You begin to understand the Inca not as a unique empire that sprung from nowhere, but as just the final chapter in a much longer story of South America.